Pets are family, and in the event of an emergency, it’s critical they are attended to accordingly. 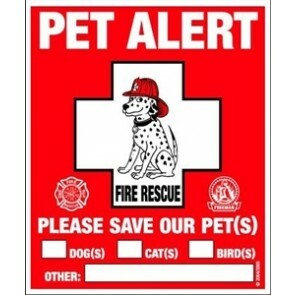 That’s why every pet parent needs a pet alert decal from Rescue Rover. These bold, bright, eye-catching clings are printed on strong, durable material to ensure they are easily applied and removed. 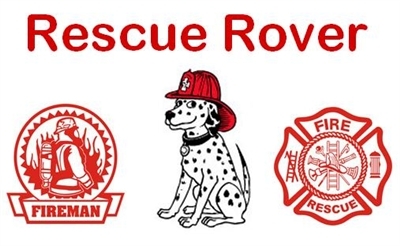 By having name-brand recognition with fire departments, Rescue Rover users can feel confident Fido won’t be forgotten. In times of trial, make sure you’re prepared with Rescue Rover!